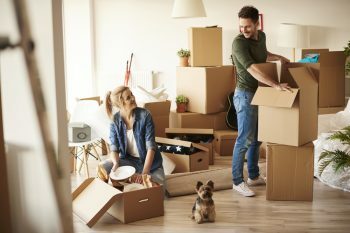 So your first apartment is ready to move on up? Congratulations! 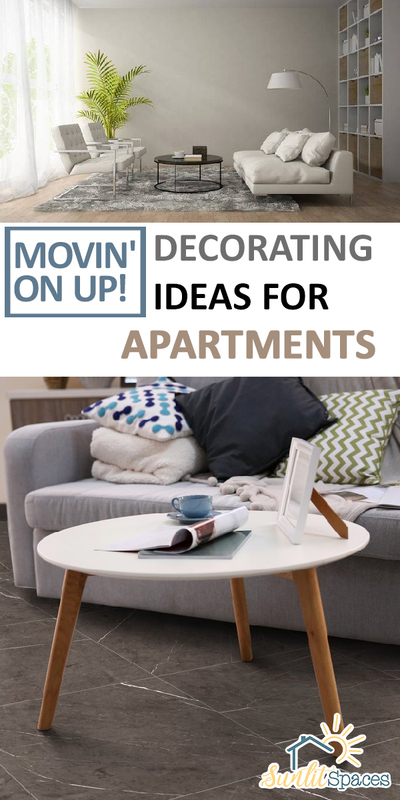 It’s time for our best decorating ideas for apartments. Apartment decorating can be a little tricky for several reasons, mostly due to size and notoriously limiting rental restrictions. But don’t fret–you can have a beautifully decorated apartment. Just keep these tips in mind! 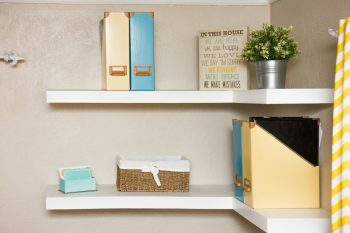 Decorating ideas for apartments start with one simple idea. Apartments are usually boxy-feeling, so wherever possible, opt for rugs and furniture pieces with some interesting shape to them. Rounded rugs and tables go a long way to making your space feel less boxy. Apartment walls and floors can also be pretty plain and limited in color, but you can add interest and lighten things up with your furniture color choices. 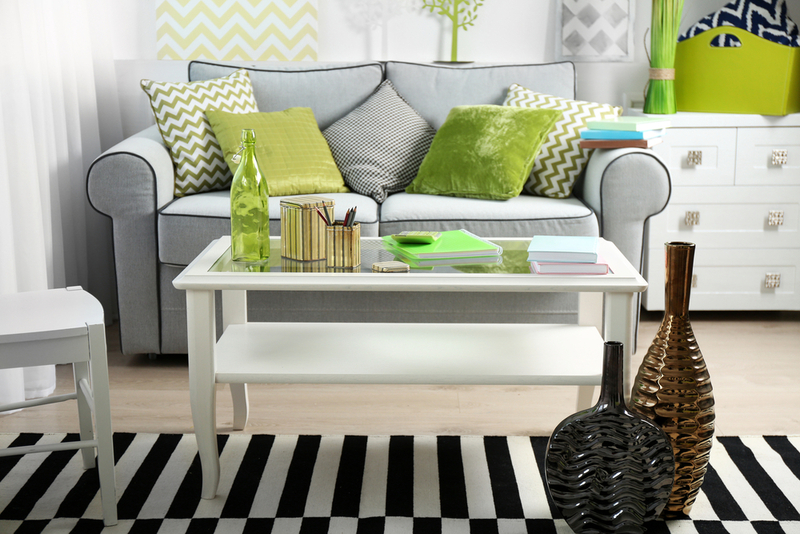 A lime green houseplant is also a great choice. And just because your apartment has a hard floor, doesn’t mean you have to live with it. 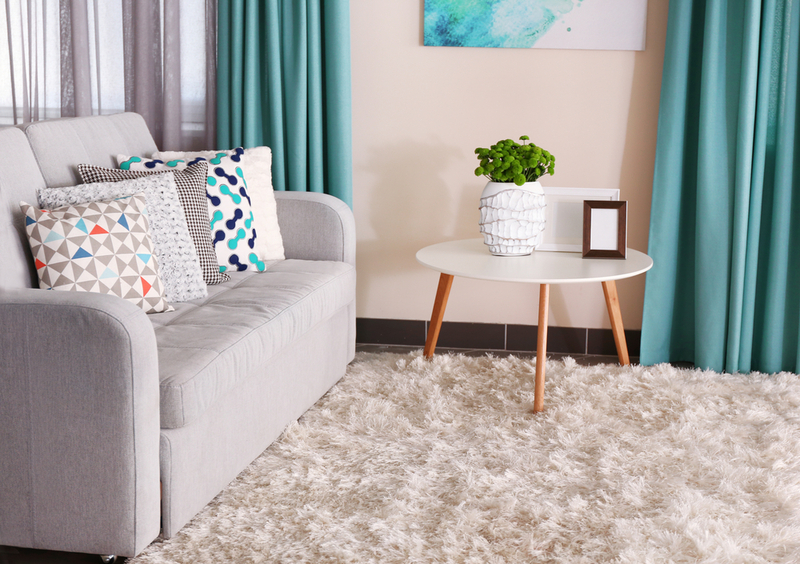 Add a plush area rug to soften it right up! This picture illustrates how use of color can liven up your apartment. It also shows the importance of scale. 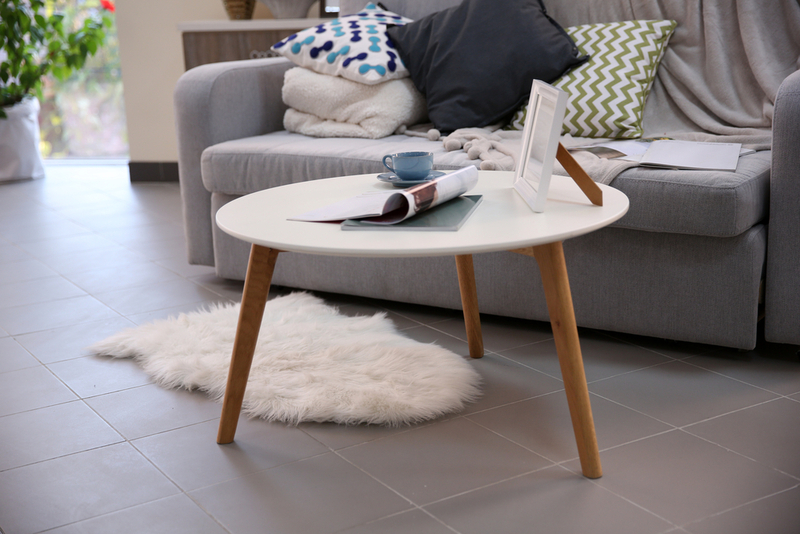 If your apartment is small, be sure to choose smaller sized furniture pieces. Choosing pieces that are too large for the space only make it feel cramped. Instead of a full-size sofa, opt for a cute love seat instead! 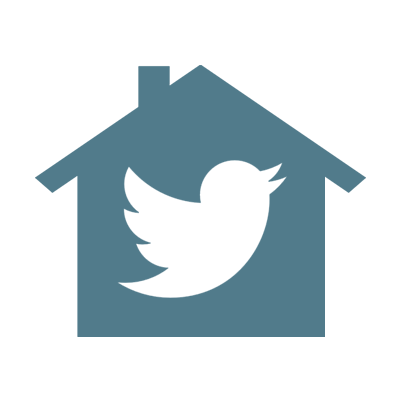 Just as you don’t have to live with a hard floor, you don’t have to live with apartment-standard blinds. Cover up boring blinds with soft, colorful drapes. They really help make your apartment space your own! 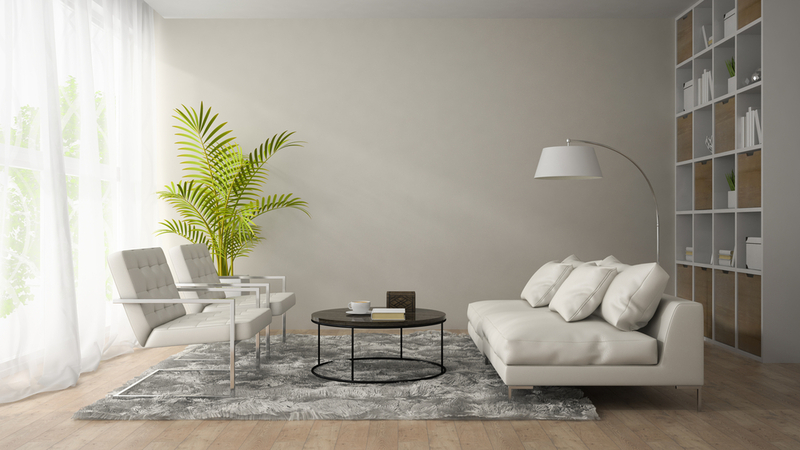 One of the biggest challenges in coming up with apartment decorating ideas is the fact that many landlords don’t allow you to make very many nail holes, or even any at all. If you are only allowed a few nail holes, you can get more out of your apartment decorating with floating shelves. Use the nail holes you’re allowed to hang the shelves. Now you’re free to dress up the shelves with pictures, art and other items you’d have to put more holes in the walls for otherwise. And a vignette looks much more interesting than a few pictures. Genius! 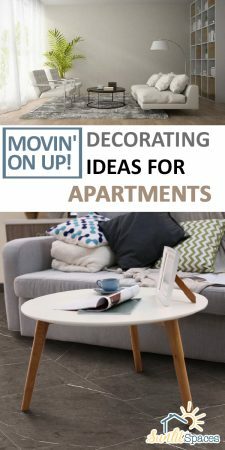 Do you have any other apartment decorating ideas not covered in this post? Share with us in the comments!